Whether you’re a big fan of coffee or can’t stand the taste, finding a coffee shop that you enjoy visiting can be helpful if you’re trying to find a chill hangout or a study area. There are three coffee shops that are 20 minutes or less away from SNU that I think are worth trying out. The first shop is Higher Grounds Coffee Company located at 5814 NW 63rd Street in Warr Acres. Higher Grounds is open everyday except Sundays. This coffee shop is super cute, and offers comfortable seating as well as tables if you are coming to get some homework done. Higher Grounds also has a bakery so you can bet that they have some of the best treats in town. I love visiting Higher Grounds because the staff are so sweet and friendly, and the coffee is great. They also offer a student discount if you just show your student ID! I really enjoy their iced white chocolate latte and the fact that they play some awesome slow jams. The second coffee shop is Classen Coffee Company. Classen Coffee Co. is located at 2515 Classen Boulevard in OKC. Classen Coffee just recently opened and is a great place to get coffee with friends. This coffee shop offers outdoor and indoor seating, and is more of a place to hang out with friends than to do homework. The vibe this place gives off is just so cool, especially the music. The staff are really educated about coffee, so if you don’t know what to get, they will ask you what you like and help you find a drink that you will enjoy. The back room is my favorite place to meet with my friends while sipping on a vanilla latte. The third spot is Cuppies and Joe at 727 NW 23rd Street in Oklahoma City, which is a staple local coffee shop. Cuppies and Joe is unique because they bake fresh cupcakes everyday. This way, your sweet tooth can be satisfied while enjoying a cup of coffee. While visiting, I’ve seen people hanging out, meeting with friends or studying so this shop is pretty versatile. They do offer pretty limited seating, so that’s the only real bummer. However, the staff members are cool, and the environment of the coffee shop is as well. 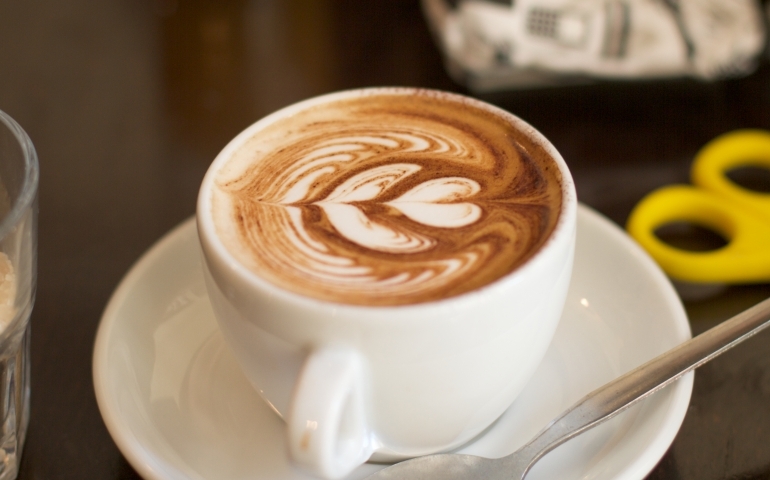 These three coffee shops are pretty well-known and liked around SNU. Try these out and see if you can find a local coffee shop that satisfies your thirst or explore other places not mentioned above!